Age Is No Barrier to Success. The rules of the business world are being rewritten -- again -- and Americans over 50 need to refresh their skill sets to meet the challenge of competing in a changing job market. 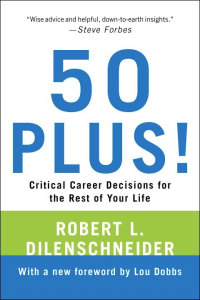 Renowned workplace communications expert Robert L. Dilenschneider has completely revised and updated this indispensable guide to getting ahead in today's volatile economy.